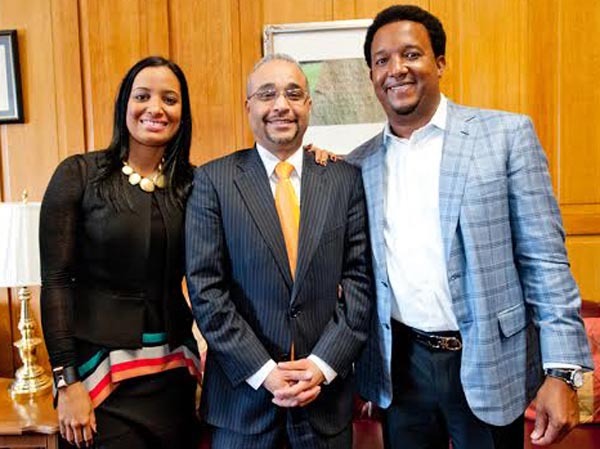 Hall of Fame inductee Pedro Martinez was honored today at the State Capitol during Dominican Heritage Week. The Dominican born pitcher was recognized for his work both on and off the field, which has inspired countless Dominican-Americans. State Senator Adriano Espaillat (D-Manhattan/Bronx) presented Mr. Martinez with the first annual Oscar De La Renta Excellence Award in recognition of the extraordinary work he has done for the Dominican-American community. Senator Jose Peralta (D-Queens) introduced a resolution in the Senate congratulating Mr. Martinez on his election to the Hall of Fame and Assemblyman Pichardo (D-Bronx) introduced an accompanying resolution in the Assembly.